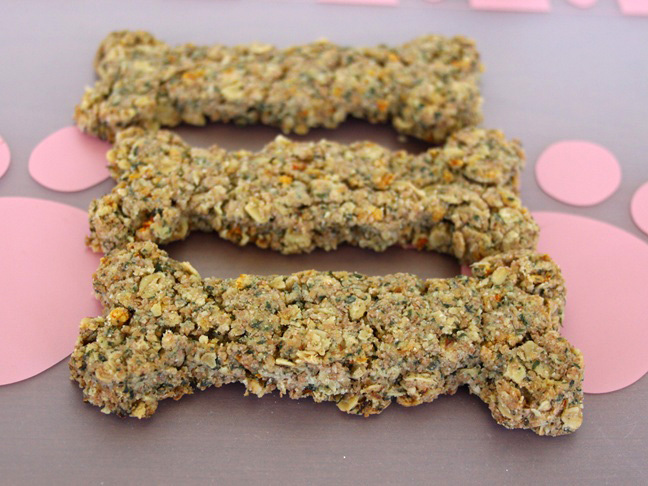 Our border collie Emily loves to have special dog treats! She will do tricks just to get her favorite treats. With the recent scares on store bought dog treats, I’m a little nervous about feeding them to her! Emily is like another member of our family, so I want to make sure I know what’s in her dog treats. 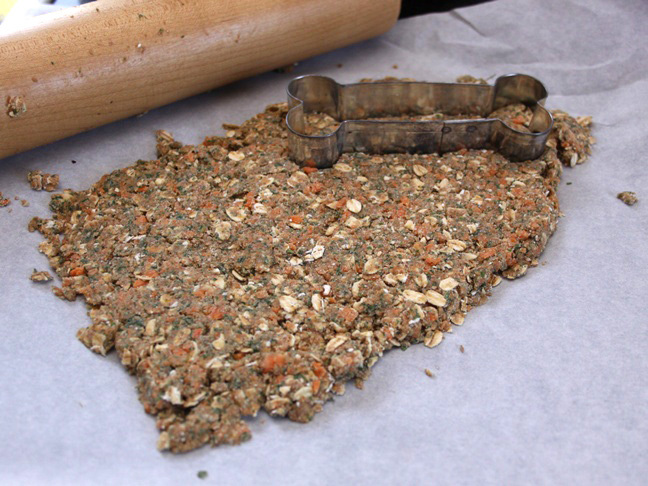 I’ve put together three variations on Emily’s favorite homemade dog biscuits to share with you. These treats are super easy to make, and you can store them for several weeks in an airtight container. 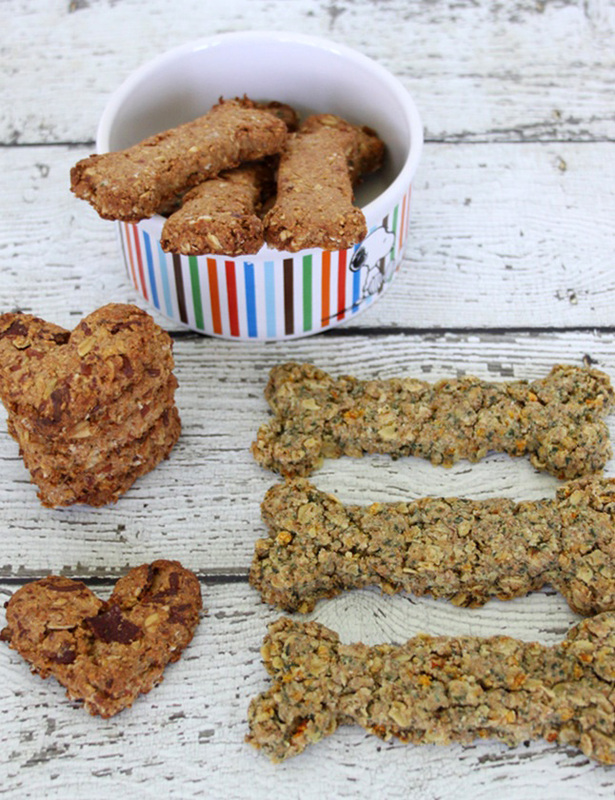 Then they’re available whenever you want to give your dog a biscuit. Step 2: Combine the whole wheat flour, oats, and baking powder in a medium mixing bowl. Step 3: In a separate bowl, mix together the rest of the ingredients. Step 4: Slowly add the flour mixture to the wet mixture, mixing as you go until well blended. Step 5: Roll out the biscuits to about 1/4 to 1/3 inch thick, and cut the biscuits with your favorite cookie cutter. Step 6: Bake for about 15 to 20 minutes at 375 degrees Fahrenheit. Step 7: Remove the biscuits from the oven and turn them out onto a cooling rack to cool completely. Step 8: Once the cookies have cooled store them in an airtight container for several weeks to give your dog a special homemade treat.